Hillary Clinton just racked up major endorsements from some of the country’s top business leaders. In an email on Thursday, Clinton’s campaign rolled out a list of endorsements from over 50 prominent leaders from companies like General Motors, Boeing, Costco, and Qualcomm among others. Warren E. Buffett, Chairman and CEO of Berkshire Hathaway, Facebook COO Sheryl Sandberg, Expedia Chairman Barry Diller, and Dodgers co-owner Earvin “Magic” Johnson were among some of the more high-profile business leaders on the list. 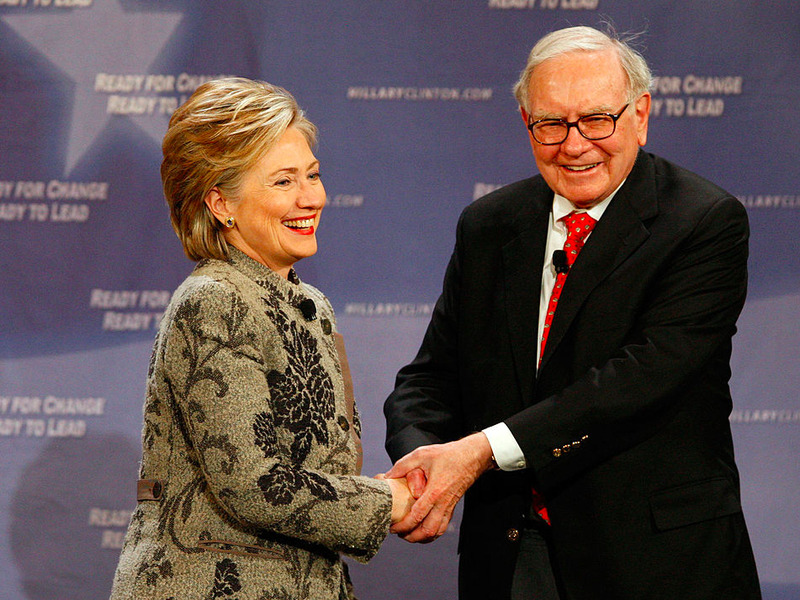 Many observers weren’t entirely shocked at some of the names supporting Clinton — Buffett and Sandberg, for example, are longtime Democratic supporters. But the list came as Clinton’s campaign has increasingly focused on touting high-profile Republicans who have been turned off by Donald Trump, and instead are backing Clinton. For his part, Trump has speculated privately that top leaders’ rejection of his candidacy could actually help shore up his populist grassroots support.